France’s President Emmanuel Macron has said the country will in the next weeks make April 24 a national day of commemoration of the Armenian Genocide. 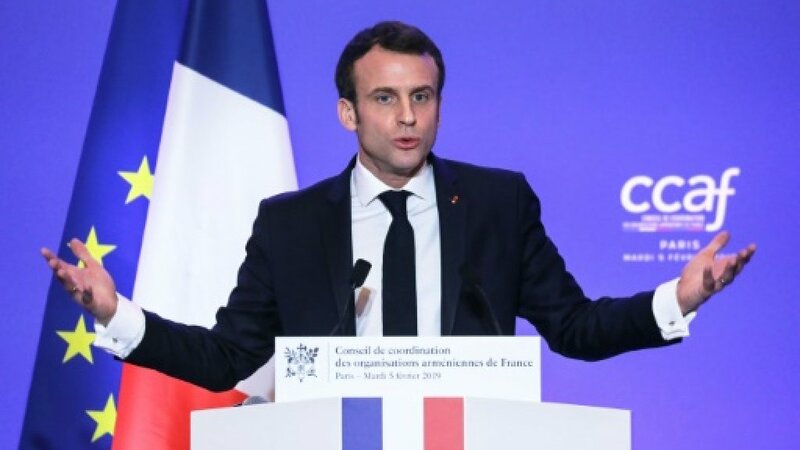 Macron spoke earlier this week at the reception of the Armenian Organizations Coordination Council, where he described the events of 1915 as the “merciless killing of Armenians living in the Ottoman Empire”. France had previously recognized the events of 1915 as a genocide. One of Macron’s election promises in 2017 was to make April 24 a formal commemoration day. Macron stated that he had informed Turkish President Recep Tayyip Erdogan about this process. “We differ on our approach to the genocide with Turkey, as well as on human rights, civil liberties and the fight against ISIS,” Macron added. He also expressed his wish to keep dialogue channels open with Ankara, while the Turkish government has not made an official statement regarding the announcement yet. Turkey holds the view that between 1914 and 1921, a large number of Armenians and Turks were killed from both sides, and therefore rejects the use of the term genocide. The Turkish government has been advocating the creation of a commission from historians to address the events of 1915 in an international platform. European countries that recognize the events of 1915 as genocide are Germany, the Czech Republic, Switzerland, Poland, Austria, France, Italy, Greece, Belgium, the Netherlands, Cyprus, Bulgaria, Sweden and Luxembourg.